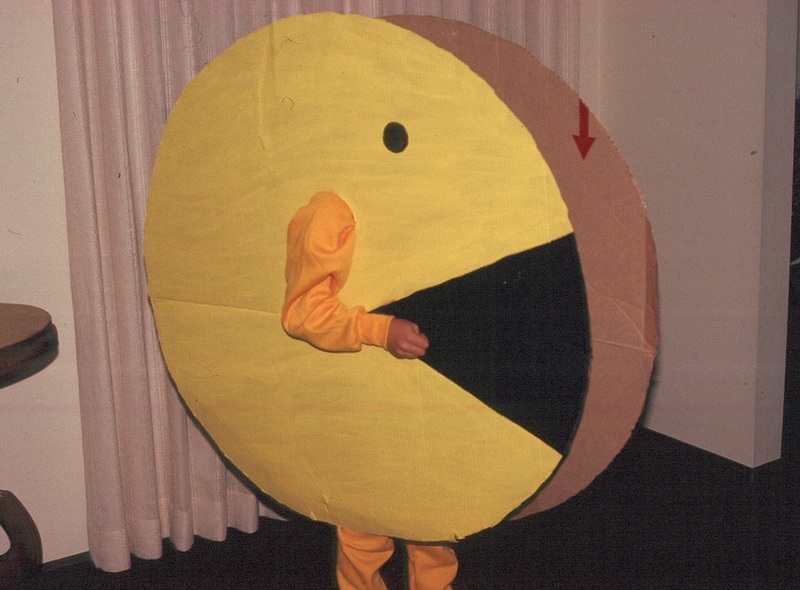 wouldn t a Pacman ghost make a more Halloween-y costume? Hahah classic! Total tunnel vision though, lol. The best detail though is that little shipping arrow on the opposite side. That symbol alone signifies the whole DIY spirit of it all. Such a great capture. Hope he didn’t get an itch on his nose.